The Qajar dynasty was an Iranian royal dynasty of Turkic origin, specifically from the Qajar tribe, which ruled Persia (Iran) from 1789 to 1925. The state ruled by the dynasty was officially known as the Sublime State of Persia. The Qajar family took full control of Iran in 1794, deposing Lotf 'Ali Khan, the last Shah of the Zand dynasty, and re-asserted Iranian sovereignty over large parts of the Caucasus. In 1796, Mohammad Khan Qajar seized Mashhad with ease, putting an end to the Afsharid dynasty, and Mohammad Khan was formally crowned as Shah after his punitive campaign against Iran's Georgian subjects. In the Caucasus, the Qajar dynasty permanently lost many of Iran's integral areas to the Russians over the course of the 19th century, comprising modern-day Georgia, Dagestan, Azerbaijan and Armenia. Infrastructure refers to the fundamental facilities and systems serving a country, city, or other area, including the services and facilities necessary for its economy to function. Infrastructure is composed of public and private physical improvements such as roads, bridges, tunnels, water supply, sewers, electrical grids, and telecommunications. In general, it has also been defined as "the physical components of interrelated systems providing commodities and services essential to enable, sustain, or enhance societal living conditions". The Abadan refinery is located in Abadan near the coast of the Persian Gulf. Built by the Anglo-Persian Oil Company, it was completed in 1912 and was one of world's largest oil refineries. Its nationalisation in 1951 prompted the Abadan Crisis and ultimately the toppling of the democratically elected prime minister Mossaddegh. The D'Arcy Concession was a petroleum oil concession that was signed in 1901 between William Knox D'Arcy and Mozzafar al-Din, Shah of Persia. The oil concession gave D'Arcy the exclusive rights to prospect for oil in Persia. During this exploration for oil, D'Arcy and his team encountered financial troubles and struggled to find sellable amounts of oil. They were about to give up but eventually struck large commercial quantities of oil in 1908. After these large commercial quantities of oil were found, the Anglo-Persian Oil Company took over the concession in 1909. 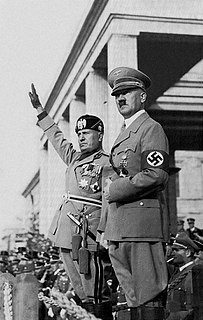 However, the Iranians also began to reduce their trade with the Germans under Allied demands. Reza Shah sought to remain neutral and anger neither side, which was becoming increasingly difficult with the British/Soviet demands on Iran. 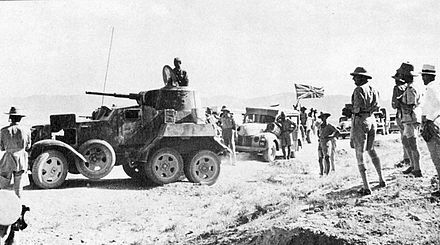 British forces were already present in sizeable numbers in Iraq as a result of the Anglo-Iraqi War earlier in 1941. 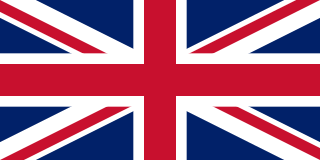 Thus, British troops were stationed on the western border of Iran prior to the invasion. The naval attack began at 04:10 at Abadan when HMS Shoreham opened fire on the Iranian sloop Palang, sinking it in a single salvo. 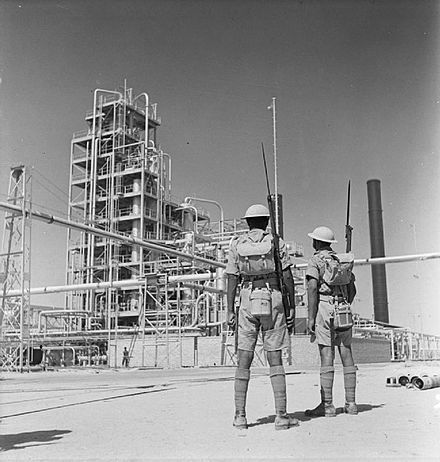 The Abadan Refinery was of vital importance to the British commanders as well as keeping the employees of the Anglo-Iranian Oil Company safe from possible reprisals. Khuzestan Province was defended by 27,000 troops from the 1st, 2nd, 6th and 16th infantry divisions, consisting of both light and mechanised infantry. 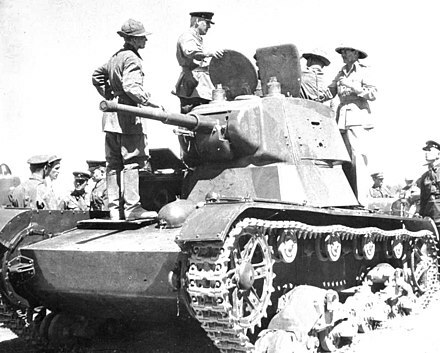 All Iranian tanks were deployed in Khuzestan as part of the 1st and 2nd divisions. A British naval and paratrooper landing force landed at Abadan securing the city and the refinery. Shoreham remained in the area and provided naval gunfire support. 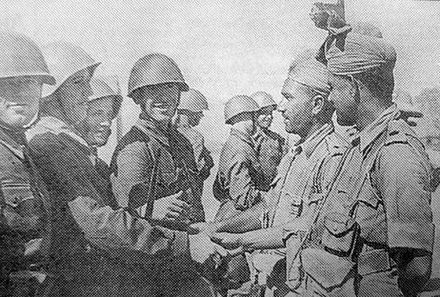 The Iranians managed to put up a resistance and the refinery and the city were captured that afternoon after hand-to-hand combat resulted in the deaths of several British and Indian troops. 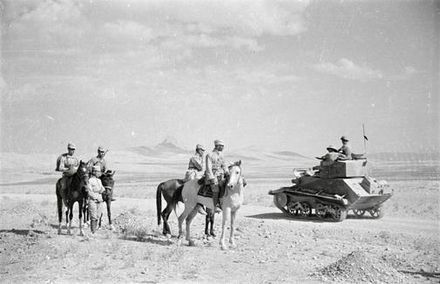 The British force broke through the border at the town of Qasr-e Shirin and moved into the Naft-e Shah oilfield with little opposition. 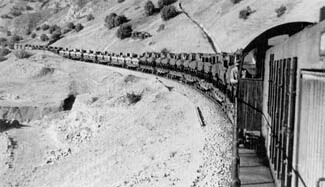 The British stated that the operation had been carried out with minimum losses for the Iranians but British troops faced a determined defence by 2,000 Iranians as they tried to capture the town of Gilan-e Gharb 30 kilometres (20 mi) inside of Iran, which if successful would block the British from moving through the steep Pai Tak mountain pass. The RAF provided close air support and was involved in several dogfights with Iranian aircraft. Six Iranian fighters were shot down and several others damaged, for no loss, ensuring air superiority. The RAF also bombed several local towns and dropped leaflets urging surrender. Meanwhile, the Soviet invasion force in Iranian Azerbaijan had moved south. The 47th Army had been delayed in the Jolfa area when three individual Iranian soldiers managed to block an important bridge until they ran out of ammunition and were killed. The Soviets did not use artillery for fear that they would damage the bridge and delay their advance further. 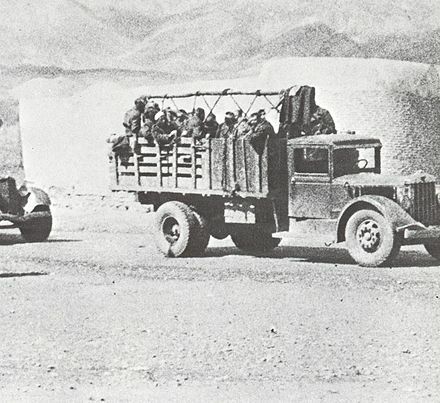 The 47th Army moved south, capturing Dilman (100 kilometres (80 mi) west of Tabriz) and then Urmia (Oromiyeh), ostensibly to block the escape of "German agents". The latter was defended by only a few snipers. The Soviets responded by bombing targets in the city, killing over a dozen people and wounding many others, and much of the city's bazaar was burned. 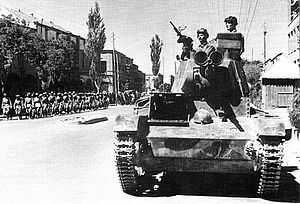 In response to the Shah's defiance, the Red Army on 16 September moved to occupy Tehran. Fearing execution by the communists, many people (especially the wealthy) fled the city. Reza Shah, in a letter handwritten by Foroughi, announced his abdication, as the Soviets entered the city on 17 September. The British wanted to restore the Qajar Dynasty to power because they had served British interests well prior to Reza Shah's reign. However, the heir to the throne, Hamid Hassan Mirza, was a British citizen who spoke no Persian. Instead (with the help of Foroughi), Crown Prince Mohammad Reza Pahlavi took the oath to become the Shah of Iran. Reza Shah was arrested before he was able to leave Tehran, and he was placed into British custody. He was sent to exile as a British prisoner in South Africa, where he died in 1944. The Allies withdrew from Tehran on 17 October and Iran was partitioned between Britain and the Soviet Union for the duration of the war, with the Soviets stationed in northern Iran and the British south of Hamadan and Qazvin. 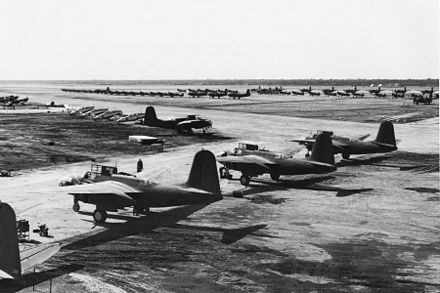 Lend-Lease Program US planes stand ready to be picked up at Abadan Air Field, Iran. 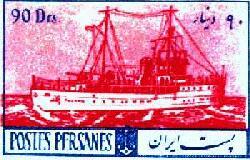 1950s era Iranian postage stamp illustrating the Iranian warship Palang (Leopard). The British Royal Navy sank the Palang while it was moored at an Abadan pier during the surprise attack on Iran in August 1941. 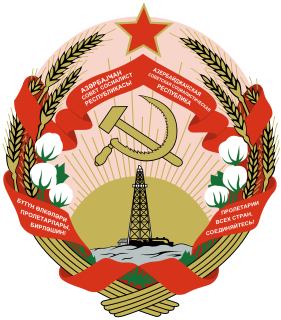 During the three years of occupation, Joseph Stalin had expanded Soviet political influence in Azerbaijan and Iranian Kurdistan in northwestern Iran, as well as in Iran founding the communist Tudeh Party of Iran. The Soviets had attempted during their occupation to stir tensions between the tenant-farmers and the landlords (known in Iran as arbabs). On 12 December 1945, after weeks of violent clashes a Soviet-backed separatist People's Republic of Azerbaijan was founded. The Kurdish People's Republic was also established in late 1945. 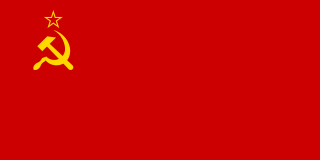 Iranian government troops sent to reestablish control were blocked by Red Army units. 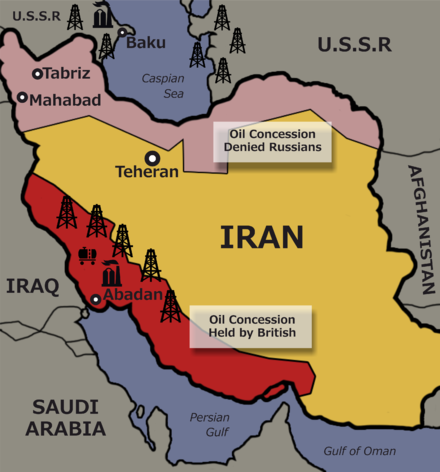 The Iran crisis of 1946, also known as the Azerbaijan Crisis in the Iranian sources, was one of the first crises of the Cold War, sparked by the refusal of Joseph Stalin's Soviet Union to relinquish occupied Iranian territory, despite repeated assurances. 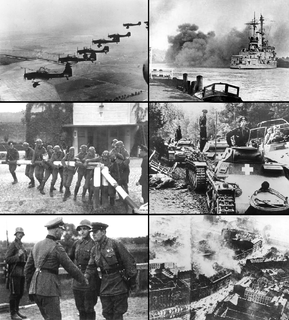 The end of World War II should have resulted in the end of the Allied joint occupation of Iran. Instead, Pro-Soviet Iranians proclaimed the separatist Azerbaijan People's Government and the Kurdish separatist Republic of Mahabad. The United States pressured Soviet withdrawal in the earliest success of the new containment strategy. Two Romanian armies, the Third and the Fourth, were involved in the Battle of Stalingrad, helping to protect the northern and southern flanks respectively of the German 6th Army as it tried to conquer the city of Stalingrad, defended by the Soviet Red Army in mid to late 1942. Overpowered and poorly equipped, these forces were unable to stop the Soviet November offensive, which punched through both flanks and left the 6th Army encircled in Stalingrad. The Romanians suffered enormous losses, which effectively ended their offensive capability on the Eastern Front for the remainder of the war. Operation Nasr, fought in early January 1981, was a major battle of the Iran–Iraq War. It was the biggest tank battle of the Iran–Iraq War. 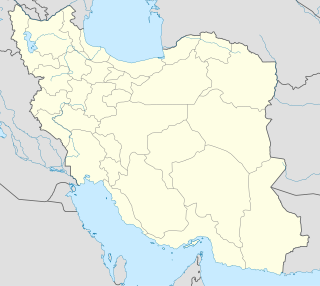 Operation Fath-ol-Mobin was a major Iranian military operation conducted during the Iran–Iraq War, in March 1982. The operation was led by Lt. General Ali Sayad Shirazi, and was conducted in four phases. 1 2 3 4 5 6 7 8 9 10 11 12 13 14 15 16 17 18 19 20 21 22 23 24 25 26 27 28 29 30 31 32 33 34 Farrokh, Kaveh (2011-12-20). Iran at War: 1500–1988. ISBN 978-1-78096-221-4. 1 2 3 4 5 6 7 8 9 10 11 Pollack, Kenneth (2004-11-02). The Persian Puzzle: Deciphering the Twenty-Five Year Conflict. ISBN 978-1-58836-434-0. ↑ Reed, Stanley; Fitzgerald, Alison (2010). In Too Deep: BP and the Drilling Race That Took it Down. Wiley. ISBN 978-0-470-95090-6. 1 2 Beaumont, Joan (January 1981). "Great Britain and the Rights of Neutral Countries: The Case of Iran, 1941". Journal of Contemporary History. 16 (1): 213–228. JSTOR 260624. ↑ "Abbas Milani, Iran, Jews and the Holocaust: An answer to Mr. Black". iranian.com. Retrieved 2011-09-22. 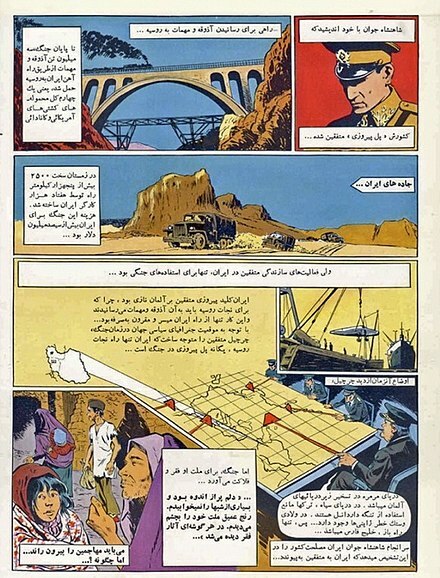 1 2 3 "Iranian History (1941)" . Retrieved 15 September 2014. 1 2 Stewart, Richard Anthony (1988). Sunrise at Abadan: The British and Soviet invasion of Iran, 1941. New York: Praeger. ISBN 978-0-275-92793-6. ↑ Encyclopædia Iranica "Anglo-Iranian Relations iii. Pahlavi period"
↑ Stewart, Richard A. (1988). Sunrise at Abadan: The British and Soviet Invasion of Iran, 1941. New York: Praeger. p. 85. ISBN 978-0-275-92793-6. ↑ "No. 37685". The London Gazette (Supplement). 13 August 1946. pp. 4097–4098. ↑ "No. 37685". The London Gazette (Supplement). 13 August 1946. p. 4098. ↑ Ward, Steven R. (2009). Immortal: A Military History of Iran and Its Armed Forces. Georgetown University Press. p. 154. ISBN 978-1-58901-258-5. 1 2 3 4 5 6 7 8 9 10 11 12 13 14 15 16 17 18 19 20 21 22 23 24 Gholi-Majid, Mohammad. August 1941: The Anglo Russian Occupation and Change of Shahs. ↑ Kaveh Farrokh, Iran at War: 1500–1988, Osprey Hardcover, released 24 May 2011; ISBN 978-1-84603-491-6. ↑ Parsa, Ali. "Brno, the Persian Mauser" . Retrieved 30 August 2015. ↑ Barret, Dave. "Iranian Tanks". Archived from the original on 4 October 2012. 1 2 "Armour in Iran Army". Archived from the original on 22 February 2013. Retrieved 15 September 2014. 1 2 3 4 O'Hara, Vincent P. (30 November 2011). Tucker, Spencer, ed. World War II at Sea: An Encyclopedia. 1 (illustrated, reprint ed.). ABC-CLIO. pp. 86–87. ISBN 978-1-59884-457-3. 1 2 3 4 5 Stone, Stone &. "War Diary Records for Invasion of Iran 1941". 1 2 3 4 5 6 7 8 9 Milani, Abbas (2011-01-04). The Shah. ISBN 978-1-4039-7193-7. ↑ Гречко/Grechko 1976, p. 224. ↑ "Abadan Airfield Photo". Archived from the original on 28 September 2014. Retrieved 15 September 2014. ↑ "Iran in world War II". Archived from the original on 16 October 2009. Retrieved 12 January 2010. ↑ "UN History" . Retrieved 15 September 2014. Гречко/Grechko, А. А. (1976). 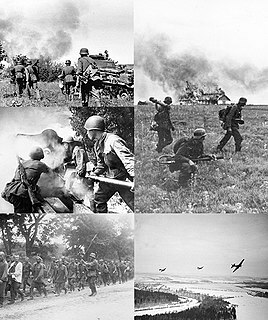 Годы Войны/Gody voiny, 1941–1943[The War Years, 1941–1943] (in Russian). Moskva: Voenizdat. OCLC 14013882. Wikimedia Commons has media related to Iran in World War II .